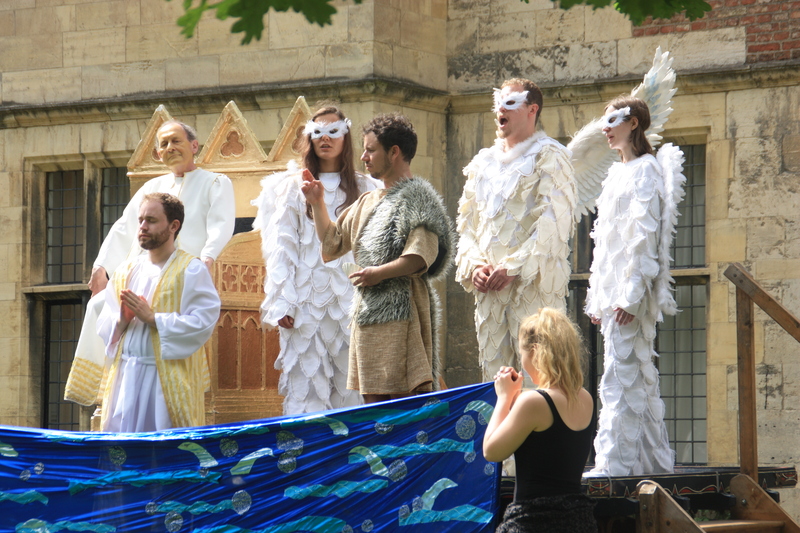 HIDden is very proud to be featured by the BBC online and TV as part of the York Mystery Plays 2014, read the article and watch the footage here. Co-Founder Suzanne Fatta along with actress Kate Thomas were among the singers featured in Hearing the Mystery Plays. Ehren Mierau was featured in TheYork Press, along with the other actors playing Jesus in the 2014 Mystery Plays. Our co-produced presentation of Noah and The Flood at the 2012 York Mystery Plays was written up in The York Press. The Noah Project is also featured on the “Illumination: From Shadow Into Light”, the York Mystery Plays site. Here’s some information about our debut at The Friends of the British Museum in late 2010, and in York shortly thereafter.